This in fact seems to be an appealing offer since dha valley has been a place to just trade in files without having to be concerned about physical developments on ground. As bahria town is the development partner of DHA in this project and all blames of this uncalled for delay go to the credit of Bahria Town, it is the entity calling the shots under immense pressure from the DHA. 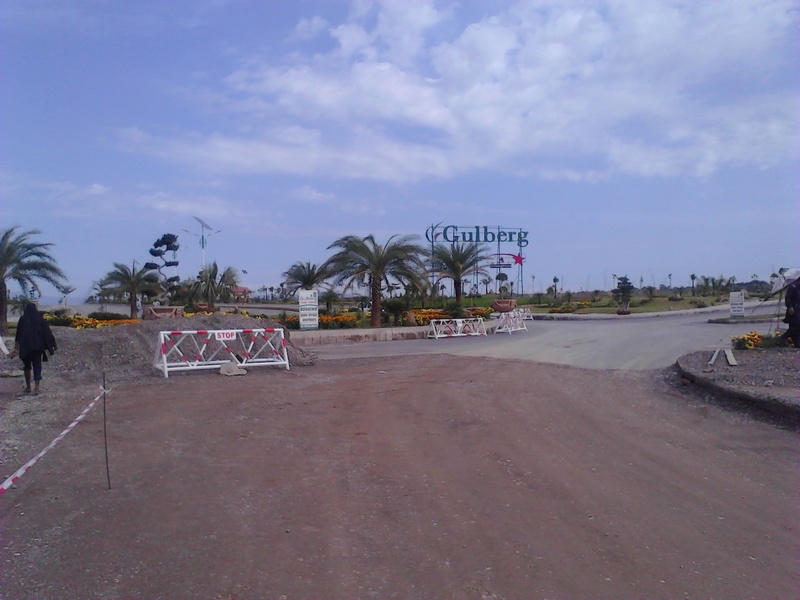 1- Which area in Bahria Town Phase 8 and Bahria Town Karachi is reserved to accommodate the dha valley affectees? 2- What is the price adjustment plan? 3- Whether you get developed plots or something which is still to be developed such as bahria town phase 8 extension or farther precincts of bahria town Karachi? 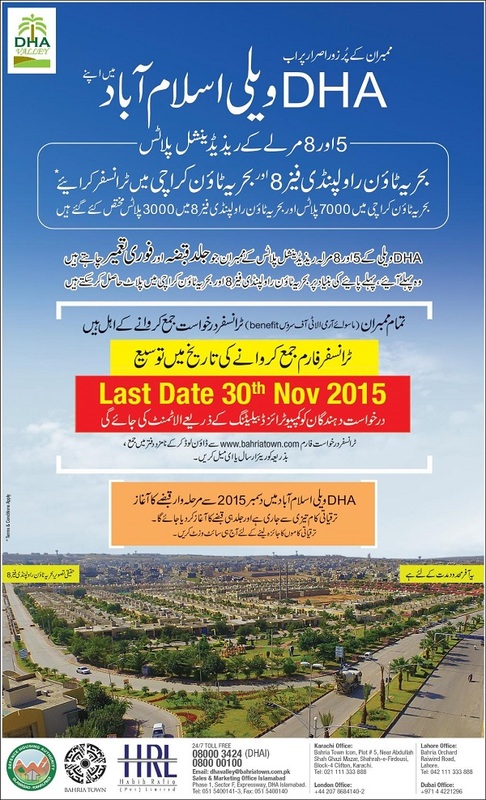 Apart from this offer, there is another twist to the story as this advertisment also claims that phase-wise possessions in DHA Valley will start from December 2015 onwards. So you must make this decision very carefully considering the positives and negatives of this action. There is a possiblity that dha valley possessions start soon and prices keep rising quickly and you lose a fortune after shifting your plot to Bahria Town, or you may see no change in the market situation of DHA Valley. It is very simple to apply for transfer as you can download the application form from www.bahriatown.com and submit manually or through courier to registered offices of Bahria Town. It is important to note that only civilian allottees can avail this opportunity. Whether you have a file transferred to your name or you have open files, you are eligible to apply for transfer of your plots in bahria town. Earlier the last date to apply was 15th November but now it has been extended to 30th November so that maximum number of people can apply. This is a tricky situation but we hope you make a better decision considering the possible growth of Bahria Town projects, current development pace of dha valley, possible locations of new plots in bahria town phase 8 and bahria town karachi, investment trend at both locations, possibility of price adjustment and a couple of noteworthy factors.